So the good news is the recession is over!! 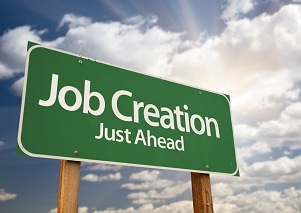 We now find ourselves in a Job Creation market which is much more pleasing to the ear (especially as a recruiter!). Apparently there will be 400,000 new jobs created this year across the UK which can only be a good thing. I’ve had to take my feet off the desk, packed away the crossword books, and dusted off my phone ready for action. So is it going to affect you?? You may have no plans to grow or diversify, or may have a stable workforce, but don’t ignore this sweeping market change as you may be indirectly affected and it could have a serious impact on your business. Even those organisations who (allegedly) arranged a “non-recruiting” pact with their competition fell foul of the scrabble for available talent (read more here- Facebook poaching from Google). Before the evil Recession word reared its ugly head, there was another R word in town- Retention. Everyone was trying to find out how to keep hold of their talent, as they were worried that they might never find a suitable replacement. As it happens, the former (recession) helped solve the latter (retention) for many as people stayed in jobs for the perceived security it offered. Any staff leakage was often lead by the organisation who made redundancies whilst seeking to streamline and find efficiencies. Staff retention activities fell further and further down the “To Do” list until they finally dropped off all together. But the balance of power is swinging rapidly back to the side of the employee and if you don’t act now, you may find yourself having to find replacements for some of your best staff members. IDS found that staff turnover in Social Housing & Care was 11.8% in 2013, and I expect that to increase markedly over the next few years as people get itchy feet, get brave or get headhunted! As our survey discovered recently (See here), the drivers for employee satisfaction have changed as our workforce welcomes new generations. What worked in the past, may not work now or in the future. Do you have a clear and aspirational career path? Are you dinosaurs when it comes to Social Media? Do you shackle your employees with process and policies rather than offer the freedom to demonstrate innovation and intra-preneurship? Don’t mistake the impact of recession for company loyalty. You have to work hard to keep your best talent, and you can NEVER rest on your laurels- the moment you do, is the moment you’ll start to see your brilliant people walking out of the door and on to a new opportunity with a neighbouring organisation. If you struggle to answer that question, I’d start updating your Job Descriptions, as you are probably going to need them soon! Next Next post: Recruiting and networks…..Make the connection!